Nutrition bars evolved through performance support targeted at men, so we saw a real opportunity to market and celebrate a product made for women by a woman. 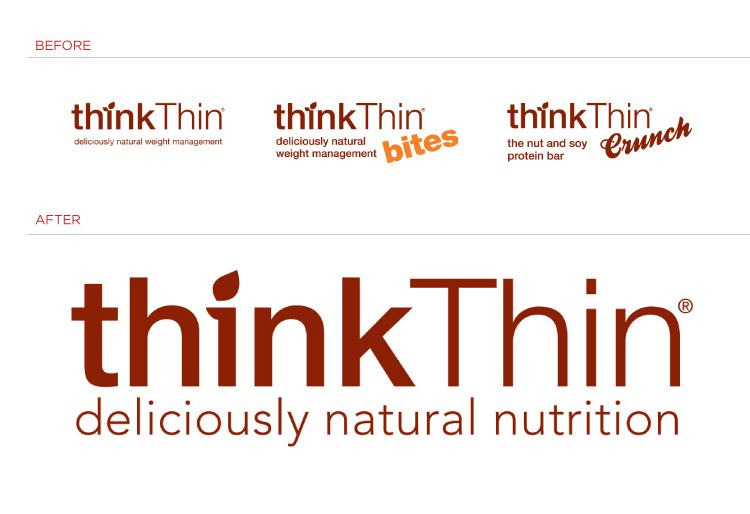 Dedicated to health and well-being, we positioned thinkThin as a women’s lifestyle brand and the products as an accessory of a day lived well, ready to go anywhere – not just the gym. This well-being and guilt free strategy executed in retail packaging/POS, outdoor advertising and online successfully tapped into the rising tide of the balanced life movement.